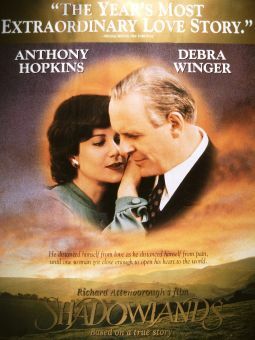 Michael Denison only made 21 movies in the course of a 60-year acting career, but included among them are such classics as Anthony Asquith's The Importance of Being Earnest (1952) and Richard Attenborough's acclaimed Shadowlands (1993). Across those 41 years, he aged from a rakishly handsome leading man into the quintessential grand old man. His personal life wasn't as smooth, at least early on -- almost from birth, Denison's life was characterized by misfortune and tragedy, beginning with the death of his mother when he was three weeks old; he was raised by an aunt and uncle, and experienced an estrangement from his father that lasted well into his adult years. 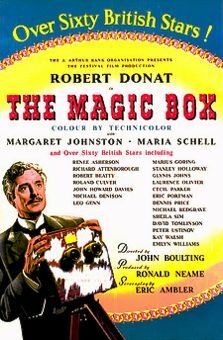 Denison attended Harrow and did some amateur acting while at school, but he never considered a career as an actor until he attended Oxford University and crossed paths with John Gielgud, who was directing plays there. His love of acting as a profession dated from a production of Richard III in which he was cast with a young Vivien Leigh. He attended the Webber Douglas Academy of Dramatic Art and there received not only training but began one of the most enduring love stories of the English stage -- he met a fellow student, Dulcie Gray, and the two were married in 1939. They juggled their marriage and their careers for the next six decades, including 28 plays together on London's West End and countless tours of England. The pairing of Michael Denison and Dulcie Gray was so well known across the decades, that their mention even figured as one of the jokes in the "Albatross Sketch" by the Monty Python's Flying Circus comedy troupe. Their intertwined romantic and professional lives reached their public pinnacle in 1996 with their first appearance together on Broadway, in a production of Oscar Wilde's An Ideal Husband. Denison was one of a very rarefied group of English actors who appeared on television before World War II, as part of the BBC's experimental broadcasts in the new medium. In 1939, he was one of the players in a television production of Eugene O'Neill's 1928 play Marco Millions, part of a cast that also included such future film actors as Robert Emhardt, Stephen Murray, and Robert Harris. He made his first big-screen appearance that same year with a small, uncredited role in the film Inspector Hornleigh on Holiday, but he didn't take movies seriously as a medium worth pursuing until after the war. Strangely enough, he was offered a screen contract in spite of that disdain for the movies; in fact, completely by accident -- as a favor to his wife while home on leave from the military in 1942, he appeared with her in one of her screen tests and was offered a contract himself, which he was unable to avail himself of because he was serving as an intelligence officer. After the war, however, Denison did start appearing in the occasional film, as his schedule between theatrical productions permitted, and as interesting roles came along. The first of his movies to receive reasonably wide distribution was the Rank Organization's production of Hungry Hill, a saga of the multi-generational conflict between two families in 19th century Ireland. 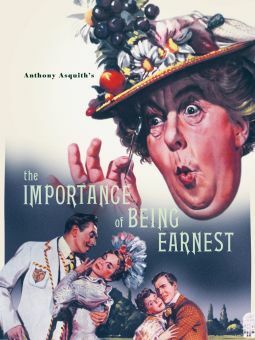 His portrayal of Algernon Moncrief in Asquith's The Importance of Being Earnest is usually regarded as the best of Denison's screen performances. However, he infinitely preferred theatrical work over any other medium. Denison toured internationally well into his seventies, and only ever appeared in a handful of television shows very late in his career.